News - S&N Communications, Inc. News - S&N Communications, Inc. Your time is valuable, so we won’t go on and on. But, if you want to know the latest about S&N, we’ve captured the highlights for you. Tower Climbing Safety Gets Spotlighted? WHEN IS THE LOWEST PRICE NOT REALLY THE LOWEST PRICE? 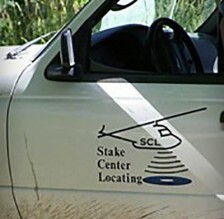 Kernersville, NC (Nov. 5, 2018)— Stake Center Locating, Inc. and S&N Locating Services, LLC, formerly operating units within S&N Communications, Inc., have combined operations under the Stake Center Locating name to reflect the company’s 100% focus on utility locating services. Separately, S&N Communications, Inc. is now under new ownership, operating as an independent company focused solely on wired and wireless infrastructure construction. Tony Belford has been named President of Operations and Business Development, and Debbie Scott will serve as Chief Financial Officer of Stake Center Locating. 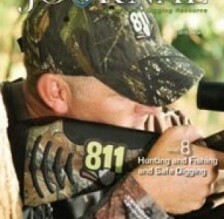 Stake Center Locating understands that utility locating is a job that requires skill, precision and accuracy. Getting it wrong can have major implications to the operations of our customers and to the public. Whether it’s building construction, road construction, or utility installation, there are more damage risks today than ever before. “We know that damage prevention, accuracy, and timeliness are vital, and our record proves that. We have combined the experience and best attributes of both locating companies to become one powerhouse locating company. Stake Center is dedicated to getting the job done right—no shortcuts. We offer a clear alternative to those customers seeking quality and true customer service,” said Baer. The company unveiled a new logo, website and mantra, “There’s A Lot At Stake,” illustrating the company’s belief that customers have a lot at stake when it comes to protecting the integrity of their infrastructure. Moving forward, Stake Center will continue to build its brand and reputation as a quality choice for utility locating, an alternative to larger locating firms where it’s easy to get lost in the crowd and a better option than smaller, less equipped firms. Stake Center is pin point focused on becoming the locating company synonymous with safety, service and accuracy. Stake Center Locating is headquartered at 636 Gralin St., Kernersville, NC. 27284. It is a utility locating company focused on delivering high-quality, safe and accurate locating services. Stake Center Locating operates in 43 states and Washington, D.C. and is home to more than 700 employees and field personnel. Stake Center completes over 500,000 locate requests each month. S&N Communications, the foremost resource in underground utility locating, announces the debut of a new division, “S&N Wireless.” The division, operated out of the company’s Hampton, VA offices, consolidates a wide range of services the company began offering in 2014 through two subsidiary companies SCE, Inc. and Tower 16. The company recently closed both subsidiaries but, at customers’ requests, will continue to offer many of the same “cradle-to-grave” services. These services include infrastructure construction for electric, gas, telecommunications, fiber optics, wireless networks and tower modifications. Professional services offered through S&N Wireless include site development, project and inventory management, assessment, analysis, acquisition, zoning and permitting. 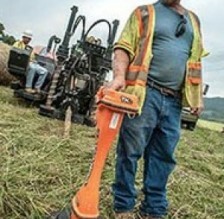 The company’s expertise in underground utility locating is unrivalled. Collectively, they have installed more than 60 million feet of fiber-optic cable and connected over 1 million homes and businesses with telecom, cable, gas and electric service. The company continues to operate through subsidiary partner Stake Center Locating. Headquartered in Salt Lake City, Utah, Stake Center is most active in states west of the Mississippi River. 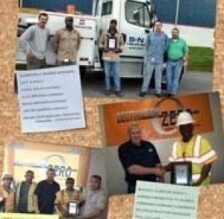 The company averages more than 400,000 completed locate requests each month. 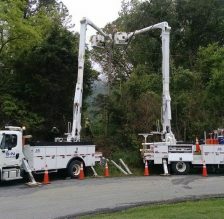 S&N congratulates Cody Norman, newly certified Journeyman Lineman by the Commonwealth of Virginia. The certification is labor-intensive, requiring 8,000 man hours in the field and a written test. Congratulations to Cody. We appreciate your drive, knowledge, commitment and hard work! 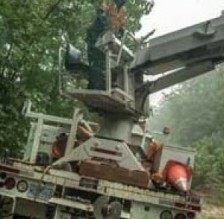 For the last 21 months, S&N has been working on a program for a large utility in Virginia providing aerial-to-buried conversions in areas prone to storm-related outages. Brian Sink, S&N’s Director – Communications/Energy Infrastructure for the Mid-Atlantic and North East, notes that during the initial phase of the project, S&N converted more than 50 miles of overhead lines to underground in portions of Virginia. Work will continue in the state following strict project management and regulatory standards. The Excavation Safety Guide is an annual publication that outlines the excavation process from pre-planning to job completion with articles written by industry experts. S&N is proud to be cited in the article Drawing the Line: Why Interstate Challenges Are Rising For Contractors. 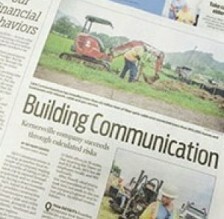 The article covers challenges excavation crews commonly encounter when placing interstate bids. Examples include staffing, licensing knowledge, understanding topographies, knowing how different states handle one call enforcement, and increased competition and pricing pressures when working for multiple utility companies. Different members of the S&N team were called upon to offer solutions to these challenges. We don’t have all the answers but, as always, we’re happy to share the knowledge we have in the hopes of bettering the industry and the great people working in it. 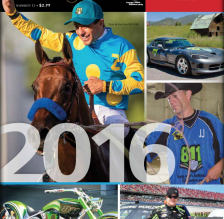 Read the full 2016 Excavation Safety Guide. It’s an exciting time for the Distributed Antenna System (DAS) industry, especially for those directly involved in the constant evolution of DAS systems. And not surprisingly, economic and social trends can and do influence how and when DAS systems are installed. Three notable and growing trends catching the attention of the DAS industry these days include public safety, real estate development and customer retention. A new article in ISE magazine, “What’s Trending in DAS,” explains trends and explores DAS cost control tactics and how to stay within the scope of your project. Life happens. Which makes planning for it often challenging and sometimes impossible. Nowhere is this truer than in trying to see into the future and make plans for what it takes to keep workers safe. 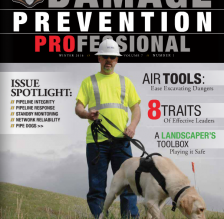 S&N President and CEO Allen Powell is featured in the Summer Digital Issue of Damage Prevention Professional, reflecting on Locator Safety Awareness Week and the collective responsibility we have to our locators. Powell cites encouraging awareness, slowing down, maintaining and following proper procedures, and doing things the right way as key standards to hold ourselves to, in an effort to plan ahead for safety. S&N’s subsidiary partner Stake Center Locating has been selected for the 2016 Best of Salt Lake City Award in the Pipeline Locating Service Contractors category by the Salt Lake City Award Program. 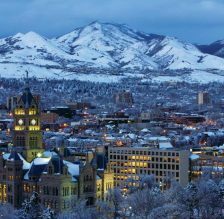 Each year, the Salt Lake City Award Program identifies companies that they believe have achieved exceptional marketing success in their local community and business category. These local companies enhance the positive image of small businesses through service to their customers and our community. Various sources of information were gathered and analyzed to choose the winners in each category. The 2016 Salt Lake City Award Program focuses on quality, not quantity. Winners are determined, based on the information gathered, both internally by the Salt Lake City Award Program and by data provided by third parties. S&N’s Senior Director of Business Development Chuck Baur has long been out of the dating game, but he’s figured out that business and personal relationships share some common ground. 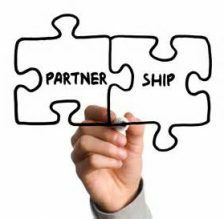 So, if you’re looking for a professional partnership that’ll last the test of time, check out Chuck’s “dating tips,” shared in the June digital issue of ISE magazine, to help you seek out, build and maintain better business relationships. 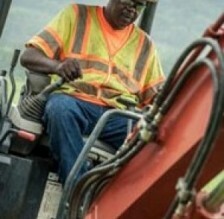 Can you name the top five challenges excavating contractors face when crossing state lines? More to the point, do you have the know-how to address the problems and come out on top? We do. 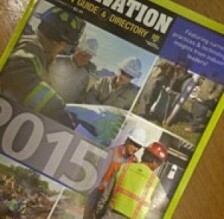 And we’re sharing what we know in the 2016 version of Excavation Safety Guide magazine. 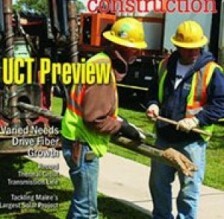 “Drawing the Line: Why Interstate Challenges Are Rising For Contractors”, pages 26-27. S&N’s CEO Allen Powell recently compiled a list for Damage Prevention Professional of eight traits we’ve found to be present in many of our company’s most effective leaders. Read the full article and see if you agree. If your biggest client walked out the door tomorrow, how long would your business be able to survive? In this month’s issue of AGL Magazine, S&N CEO and President Allen Powell discusses when and why you should consider diversifying your services, your client base and maybe even your company holdings. Tackling challenges, solving problems and broadening reach. With more than 35 years of experience, S&N reaches past the obvious and finds different ways of looking at construction. Find out how in the Spring 2015 edition of Energy & Infrastructure magazine. Property owners and managers often fear that FTTH construction will bring howls of disapproval from inconvenienced residents. S&N CEO and president Allen Powell offers tips and best practices (pizza party, anyone?) to minimize disruption and keep end users happy. 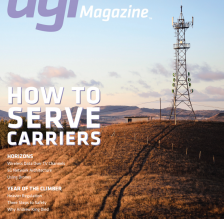 Read the full article in the October 2015 issue of Broadband Communities magazine. What’s your company’s safety record? While it’s easy during flush times to give lip service to the need for safety, too often the promise and commitment to safety fall by the wayside during the push to deliver. 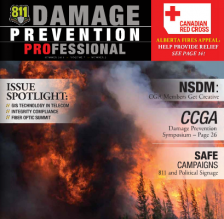 In this month’s issue of The Damage Prevention Journal, S&N CEO Allen Powell shares lessons learned on how to keep crews safe, during good times and bad. Read the full article (p. 14-15) here. 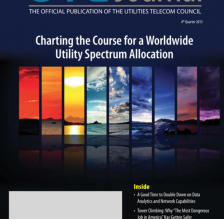 What does the future hold for utility construction? S&N CEO Allen Powell answers that question in a feature article in this month’s issue of Damage Prevention Journal. Per Powell, change is coming. With an ever-growing number of iPhones, tablets and broadband devices continuing to enter the homes and businesses of almost every American, the demand for high-speed fiber networks will only increase. 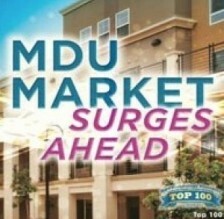 Utility construction companies that fail to make plans for the future will be left behind. Planning for the future should include an evolution of the current business model. For example, companies seeking to set themselves apart will be asked to play the role of both engineer and construction manager. S&N Communications is early to the game, providing a one-stop shop for customers. The company continues to integrate project management and oversight for everything from initial project planning and site development to turnkey construction implementation, to post-construction maintenance, repair and locating services. From small-cell wireless networks to large scale fiber-optic-network builds, to erecting and maintaining cellular towers, S&N handles it all. Are you planning for your company’s future? There’s no time like the present to start preparing for tomorrow. Listen First, Act Later. Make sure everyone in your company feels confident that they have a voice and that it’s heard. Engage in two-way communication with your employees and ask for their opinions. Then, look to implement their suggestions while giving them public credit. Be Honest In Your Dealings With Others. In order to grow your business, a company must have the trust of others. Be as good as your word, and hold others to theirs. Give Away Your Power. If you’re seen as a leader, coach others. When you provide employees with the confidence and tools they need to develop, they’ll almost always step up to the plate. Read the full article on how to develop leadership within the workplace. Thanks to everyone at our company that keeps our culture thriving—we couldn’t have done it without you! We’ve come a long way in the underground utility locating industry. Check out our newest article by S&N Director of Utility Locating, Steve Roark, in the May 2015 issue of OSP Magazine and get his perspective about disaster prevention through advances in underground utility locating. Regulations have risen; technology progresses and we’re excited to keep evolving. 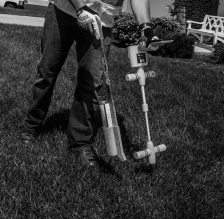 We’re working hard to change perceptions for how underground utility locating is seen. Read the newest article by S&N CEO Allen Powell, published in the Spring 2015 issue of Damage Prevention Professional, pages 35-36. Powell writes about why it’s everyone’s job to elevate the status of our hardworking locating and utility construction employees. Want to know the secrets behind being an industry leader? S&N Communications CEO and President Allen Powell tells all in the new issue of the Excavation Safety Guide & Directory (Issue No. 11). Read Allen’s article,”Taking ‘Best Practices’ To A New Level: 10 tips to be seen as an industry leader in damage prevention” then, let us hear your best tips for safety and damage prevention. S&N closed out 2014 on a high note with a profile piece from Underground Construction senior editor Jeff Griffin on how the NC-based communications company adapted and grew to meet market needs. Read the full article. As contractors, we should constantly ask the important questions: What are we doing right? In what areas might there be room for improvement? 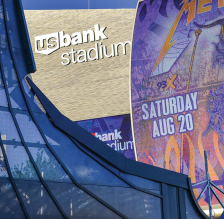 In this OSP article, S&N President and CEO Allen Powell evaluates where the industry is improving and challenges yet to be overcome. 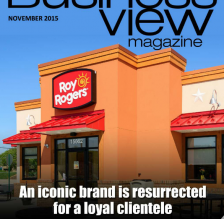 Read the full “Contractor Reflections” article, OSP Magazine, December 2014.
Business View Magazine is a global leader in multi-platform business-to-business profiles, news and opinion. The magazine recently profiled S&N and why our “We’ve Got This” slogan rings true every time. 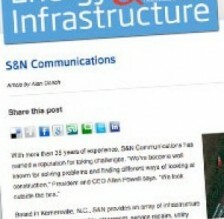 Read the full article: S&N Communications: Foremost Resource in Infrastructure Construction. 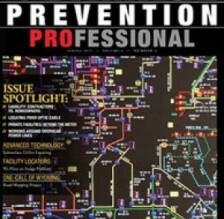 Texas 811 magazine’s fourth quarter publication featured the article “Pay Now or Pay Later: 5 Steps Facility Locating Services Can Take For Greater Damage Prevention.” The article, contributed by S&N CEO and President Allen Powell, outlined five simple steps utility companies can take to prevent damages and save money on the front end. “Damage prevention comes down to a willingness to see beyond today to tomorrow,” notes Powell. “Even if your team is doing everything right, there are always things they can do better.” Powell discusses how inspections, training, community outreach and making safety a part of a corporate culture all pay for themselves in the long run. For copies of the article, contact Chuck Baur at cbaur@sncomm.com. 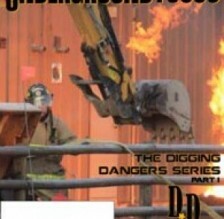 For future industry insights from S&N, subscribe to Damage Prevention Journal at www.damagepreventionjournal.com. We may not be camera-ready for our close-up (we’ve still got dirt under our nails), but when the Winston-Salem Journal asked S&N’s CEO and president Allen Powell for some insight into S&N’s current expansions and future plans, well, we didn’t run from the spotlight. Read the full story: Kernersville company succeeds through calculated risks. 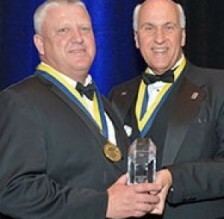 For the second time in its 38-year history, the Virginia Cable Telecommunications Association (VCTA) inducted a member of an underground utility locating and construction company into its ranks. On November 11, 2014, S&N Communications president and CEO David Allen Powell was officially welcomed into the (VCTA) Hall of Fame. S&N is proud to be led by a man of such depth, integrity and hard-working ingenuity. Congratulations to our leader! You continue to make us proud. S&N Communications is proud to have been awarded the 2014 Best of Roanoke Award in the Construction and Remodeling Contractors category. The Roanoke Award Program identifies companies that have achieved exceptional marketing success in their local community and business category. Rather than focusing exclusively on growth or sales, the award measures the quality of the services provided by the recipient. The award recipients are companies that enhance the positive image of small business through service to their customers and the community and help make the Roanoke area a great place to live, work and play. S&N Communications’ CEO Allen Powell continues as a thought leader in the industry with a new article in the Fall 2014 issue of Damage Prevention Professional. 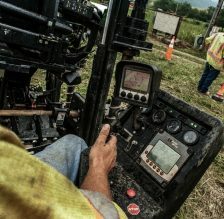 The article covers what underground utility construction companies should be doing to save you time and money on the front and back end, as well as to provide the best service for customers. 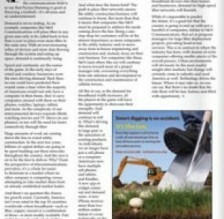 Read “Best Practices for Underground Construction Companies” on page 53 to find out. “I’m writing to let you know I am very pleased with the quality of service your company… provided on our D2L work orders. James and Ray are very knowledgeable of our product and seem genuinely interested in helping not only us, but our customers. Their responsiveness and the way they care for our facility is sincerely appreciated. In our business, we must get repairs completed on an acceptable schedule. We rely on dependable service from our contractors like you to help us keep these scheduled commitments and satisfy our customers. Because of their efforts, I’m very satisfied, and so are our customers. I have recommended your company to others because of our genuine pleasure with your service. You have put together a great team that makes us and our customers feel respected and valued. As innovators and leaders, S&N isn’t known for playing it safe. Unless we’re talking safety, in which case we ALWAYS play it safe. 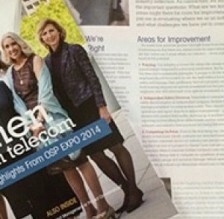 S&N President and CEO Allen Powell is making waves with his new article, Digging Deep: The Secrets Behind Successful Fiber-Optic Project Management, now available online at lIghtwaveonline.com. Fiber-optic construction companies want your business and, unless it’s their first rodeo, they know the answers you want to hear. Click here to learn the seven steps every municipality should use to pre-qualify a fiber-optics company (beyond just price) to ensure maximum effectiveness and cost savings. S&N Communications continues to expand, strengthen and focus our management as we move into the next stage of our evolution. George L. Baer who has been both chief financial officer (CFO) and chief operating officer (COO) will now concentrate 100 percent of his efforts as COO. Debbie Scott who has been our director of finance and chief information officer (CIO) will now concentrate on our systems technology side as CIO and will also assist with integration of acquisitions as vice president of mergers and acquisitions transitions. 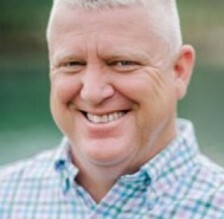 Ron Smith has been hired as CFO. Ron comes to S&N with more than 20 years experience in multiple strategic and financial leadership roles. Congratulations to George and Debbie on their new positions, and welcome, Ron. This is an exciting time for our company. Jamie Avelar, buried foreman, and James Clark, buried D2L foreman, for their exceptional safety records during first quarter 2014. 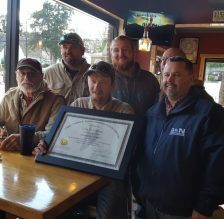 Billy Salyer, Bill Weaver, Jamie Hicks, Reggie Hoback and Brian Sink as the recipients of the 1st quarter safety award for S&N’s new “Destination Zero” safety campaign. Brian Bevins, our first quarter 2014 Safety awardee. You may have noticed we don’t sit around waiting for things to happen. That’s why, when we saw the opportunity to acquire Utah-based Stake Center Locating and blend the talents of our two companies, we didn’t hesitate. With this acquisition, S&N Communications will be able to offer locating services nationwide. We like to think of it as the coming together of two perfect teams, a tsunami of talent swirling together to create a new nationwide synergy for our company and our clients.